Specializing in Hitachi, CM & Kito. Large range of Spare Parts. Zinc coated Load chain for extra corrosion resistance. Extra Low Headroom models available. Specializing in JDN, Endo, Toku. Ideal in the harshest of environments. 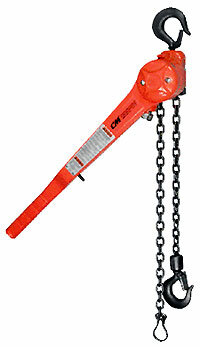 Specialiszing in High Quality Chain Blocks and Pullers. Lever Hoists 250kg to 9 Tonne. Chain Blocks 250kg to 20 Tonne. Call or email for unbiased advice.